Finding patterns in prominent stars within apparent proximity on Earth's night sky is a human tradition dating back as far as the Neolithic Age. Marble now renders popular stars constellations thanks to Timothy Lanzi and Torsten Rahn. You might know Marble's user interface with controls on the left side and a large map / globe on the right side. Over the years Marble got more powerful and new controls found their way into the tab bar on the left, which eventually grew short of space. Panels to the rescue! Show the ones (Settings => Panels) you need and close the others. Drag our new panels to your favorite place and stack them on top of each other as you like. 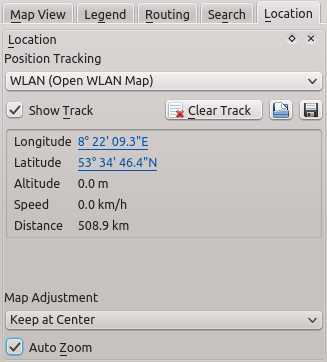 Many items shown in the map offer additional information when selected (clicked). 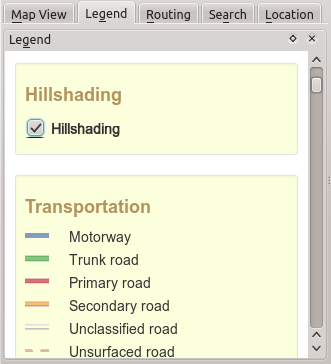 We redesigned our information dialog from a standalone window to one that sticks to the associated map position, allowing you to continue interaction with the map while it is opened. As an additional benefit the new dialog is based on WebKit and therefore renders even complex websites. Use it to research information about places in Wikipedia, for example. 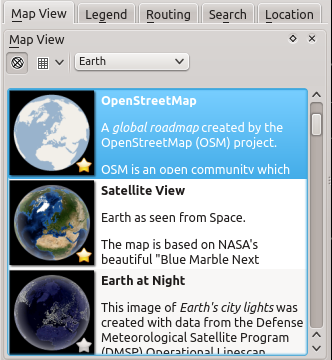 The ability to install additional map themes directly in the application has always been an advantage of Marble's KDE version. We have redesigned this feature to be more concise and show detailed installation progress at the same time. 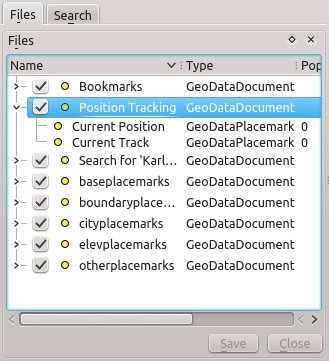 Furthermore it's now possible to open map themes directly from the installation dialog. For the first time the feature is also available in the Marble Qt version. 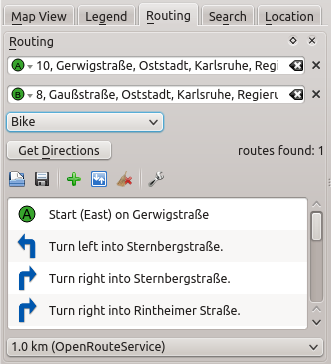 This means that Windows and Mac users can now benefit from the convenient map theme installation as well. Make sure to check out our ever-growing collection of map themes and explore historic maps, street map variants, other planets and much more. Marble's About dialog provides plenty of information about the origin of data and licenses. In the bottom right corner of the map we now also show license notices for the current map theme. This way giving proper attribution in screenshots becomes much easier. Like all of Marble's map controls the license info can be moved around freely and even hidden. 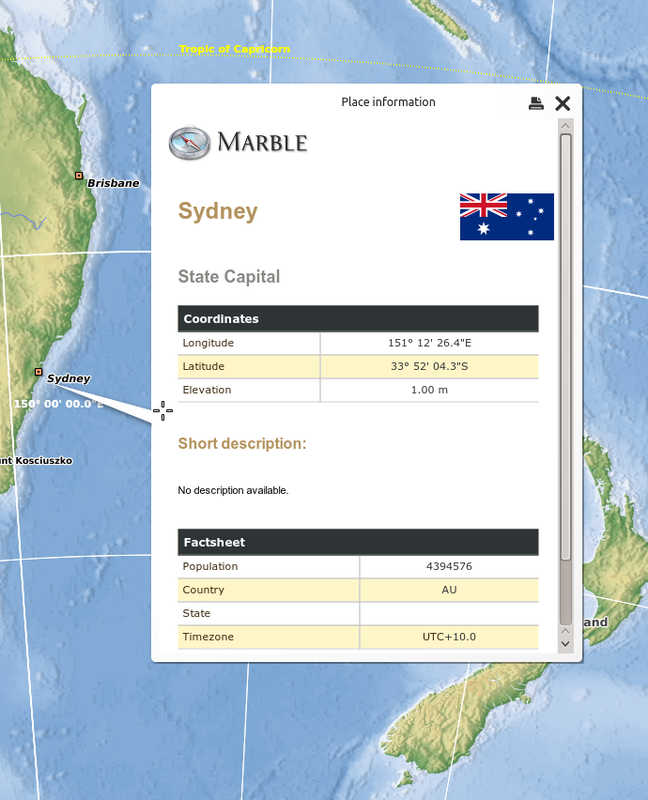 Marble 1.5.0 has been released on February 6th, 2013 as part of the KDE 4.10 release. Please enjoy looking over the new and noteworthy. René Küttner, a student from the university TU Dresden, worked on Marble as part of the ESA SoCiS 2012 program. The Summer of Code in Space was carried out for the second time by the European Space Agency and again Marble was chosen as a mentoring organization. 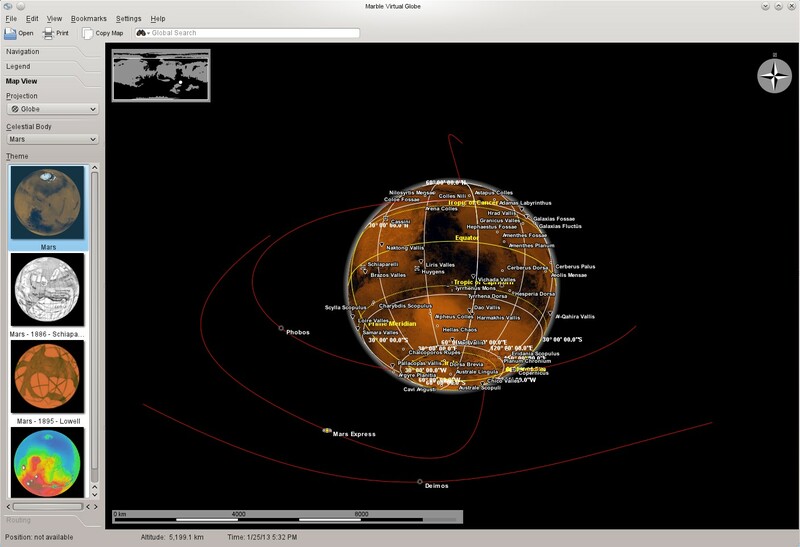 René developed a visualization of space orbiters around other planets inside the Marble Virtual Globe. As a result Marble can display the position and orbit tracks of space missions such as Mars Express, Venus Express and SMART-1. The visualization also includes the positions of the two Mars moons Phobos and Deimos. 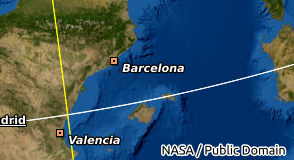 He also enhanced Marble's display of Earth satellite tracks. We'd like to thank ESA and the SoCiS Sponsors for funding this project. 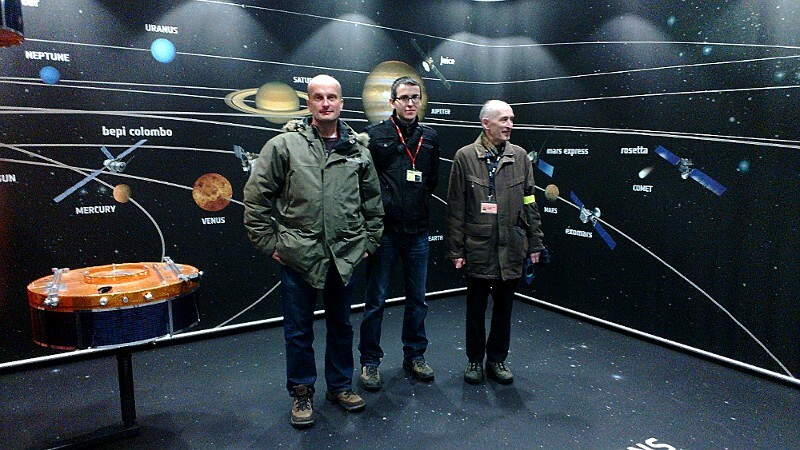 Photo: René Küttner (center) and his project mentors Gerhard Holtkamp (right) and Torsten Rahn (left) at a privately arranged meeting at ESOC in Darmstadt in late December 2012. During the summer, Ander Pijoan worked on his GSoC project to implement OpenStreetMap vector tile rendering in Marble. Many of his changes are part of Marble 1.5, including improvements in handling relations and vector rendering, extensions to Marble's .dgml format to include tiled vector layers and parsing of vector data in json format. You can read about his progress in his blog. The screencast below demonstrates the final state of Ander's project. The map theme shown is not part of Marble 1.5.